1. Many doctors think running causes running injures. 2. Many doctors think running is just too stressful. 3. The easiest to way to reduce the stress from running is to stop running. 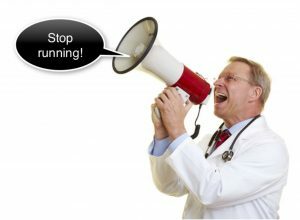 But I think it’s a cop out when doctors tell runners to stop running! In this episode we are going to talk about the ways stopping running can place you at higher risk of running injuries down the road and in addition we are going to discuss some simple strategies that may help injured runners keep running. If you stop exercising you’re going to lose your aerobic fitness. When your aerobic fitness is high you feel better, you can run faster and run with better form. The last thing that you need after working for years to build a well-tuned aerobic machine is to lose your aerobic fitness through a lack of exercise. If you stop running, you are going to predictably lose your aerobic fitness. Running specific strength that you developed over time will quickly diminish if you stop running. You may be able to get it back, but it could take a very long time. The unfortunate reality is that the muscle strength vanishes quickly, and it builds very slowly. Don’t expect your muscles to get stronger if you take six weeks off running. If you don’t use your bones they will get weaker. There is a reason that astronauts attach themselves to treadmills with rubber bands and run when they are in outer-space. You have to use the bones to keep them strong. You have to pound on them with gravity if you want to keep them strong. The tendons and ligaments are the rubber bands that stretch out to absorb force. If they become weak and stiff they are more prone to tearing. They are more prone to injury. If you don’t run, those ligaments that specifically stretch out when you run are likely going to become stiffer, less pliable and more prone to injury. When we talk about neuromuscular connections we are referring to the connection between your brain and the muscle units and the efficient firing of the muscles. Years of running with efficient form creates efficient systems. Your brain tells the muscles when to fire and they all fire in unison. That coordinated firing of muscles decreases your risk of injury by evenly spreading out the forces. 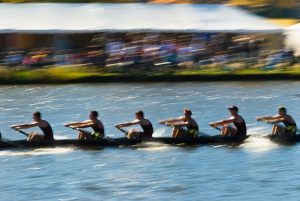 When you watch a college rowing team, the people that win are the ones that are all firing in unison. They all have their oars in the water at the same time, pulling at the same time. When you look at a bunch of non-rowers trying to paddle together, they all have their oars in the water at different times and they are much less efficient. All runners think about running form. We think about how upright we stand, arm swinging, stride length, vertical oscillation, pelvic tilt and a variety of other factors that can contribute to our efficiency in our forward movement. If you think about it, it stands to reason that any running form modifications that can make you faster likely can make you more efficient. If you are more efficient then you are using less force to move forward. Less force should also translate to lower injury risk. If you don’t run, your running form is going to get worse. Just try it, take some time off and then go for a run. Anywhere from a few days to a couple of weeks and you’ll notice a significant change in your running form. Granted, if you’ve been running for a long time you may redevelop efficient running form fairly quickly, but that awkward movement when you first start running again put you at risk of more running injuries. There are really 3 factors at play that influence the stresses that impact your feet and legs when you run. Every single time you take a step when you run, you become airborne and then you land again. Of course gravity is pulling you back down to earth. That attraction between your body and the earth underneath you is never going to change. But you can change the way your body deals with that force. When we talk about your body’s capacity to “dynamically absorb force” we are referring to the way that your running form mitigates forces. But inside your foot, your ankles and your legs we, as doctors, are thinking about the way that the tendons and ligaments stretch out to gradually dissipate those forces. The reason airbags are standard equipment in most automobiles is that we know if we can increase the distance over which an object decelerates, then you can decrease the force of impact. An airbag doesn’t change the force of hitting the other car. An airbag just slightly lengthens the time you decelerate inside the car during a crash. So you squish into a cushion of air instead of smacking into the steering column. The time it takes to absorb the impact is lengthened and distributed across a wider area. Obviously, the result is less impact force and hopefully fewer injuries. Similarly, if your tendons and ligaments are pliable, they can stretch out and absorb force over a longer period of time. So every time you land, if your muscles dynamically absorb force, you’re less likely to develop an over-training injury. But when you lose your fitness, your muscles become weak and your tendons and ligaments become tight. You start to lose your body’s ability to dynamically absorb force and then you have to rely upon your body’s capacity to statically absorb force. This means the bones, your skeletal system, simply has to absorb all the force in a more jarring fashion and that’s where shin splints, sprained ligaments and stress fractures start to come in. The big problem with putting a halt on your running altogether when you become injured is that you predictably get weaker. Your tendons and ligaments gets stiffer and believe it or not your bones become more brittle as well. You may have heard statistics like you get 13% weaker after only one week in a cast and crutches. You may have read that you can lose up to 60% of your strength in one leg after six weeks on crutches. 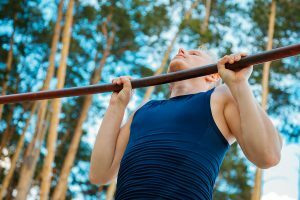 Loss of muscular strength from disuse has been well documented. Doctors also know that your bones will get weaker when you don’t use your foot. One time I did surgery on the guy who is young and healthy. He was in his early 20s. He was super-fit. But, he had to have surgery on both feet at the same time and he could not walk until the surgery healed. Basically, he was off his feet for six weeks. When we got his x-rays at six weeks, the bones in his feet looked like glass. He had considerable loss of bone density just from sitting still for six weeks. Fortunately, he was young and super healthy. We were able to rebuild his bones through strength training and a very deliberate increase of stresses applied to his feet and ankles. But if you are a serious runner, you can’t really afford to have weaker bones. At least, not unless you want to have stress fractures down the road. When you add all of these issues together, things get even worse because in the simplest sense, your foot is really just a lever attached to the end of your leg. When the bones within the foot get weaker and the tendons and ligaments around the ankle get tighter, there is more forced being applied to the foot as you try to move the lever because the lever is stiffer. So unless you run on a different planet, you have to dynamically and statically deal with the forces of gravity and the biomechanical stresses that result from landing when you run. These biomechanical forces are really the primary stressors that doctors worry about when you get injured running. But it isn’t the only form of stress! Injuries happen because of too much stress. But you have to consider all of the forms of stress that can hinder healing. The real challenge on running injuries is to figure out how to reduce the global stress in your body. If you reduce the overall stress enough, you can increase the biomechanical stress (in the form of running, or some other activities that will maintain your running fitness). It’s just math. Your task when you get an over-training injury really is to force your doctor to help you try to reduce the collective stresses enough to allow running AND permit healing all at the same time. Here are some of the other forms of stress that should be evaluated when you get a running injury. Biomechanical stressors come in all different forms. They have to do with the way you land, the shoes you wear and your unique running biomechanics. If you choose the appropriate running surfaces and you run with the form that is the least stressful you’re capable of, you can reduce the amount of running stress. If you run on a packed dirt trail, it will be less stressful than running on concrete. If you run on a jogging track that has cushioned surface you will have less biomechanical stress than if you run on asphalt. If you have plantar fasciitis on your right foot and you run in the road with your back to traffic the slope of the road will supinate your right foot and decrease the biomechanical stress to your healing plantar fascia. It may be worth getting a run form analysis and reconsidering the shoes that you choose if you want to decrease the amount of biomechanical stress as you continue to run. Hormonal stressors refer to any dysfunction in the body that can disrupt your biochemistry. Thyroid dysfunction is a common problem. The thyroid gland, the pituitary gland, the kidneys, the pancreas and the liver can all increase the global amount of stress in your body if they’re not functioning properly. It often shocks me when I see young healthy runners who train and seemingly have an enormous amount of respect for the body, yet they never get an annual check-up with their internal medicine doctor just to confirm that the machine is all working properly. The environment itself can be stressful. 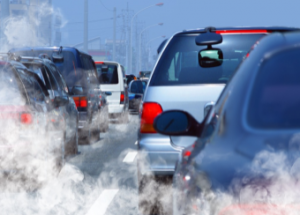 Pollution from automobiles, pollen from trees and other pollutants all have to be processed and expelled from your body. If you’re taking in unhealthy material from the air that you breathe or the water that you drink, your body has to remove it. That takes energy and it increases the amount of stress. Whenever I go to Houston to visit my sister, we usually run at Memorial Park and Memorial Park is likely the most popular running spot in the entire Houston metropolitan area. Interestingly it is also surrounded by about 20 lanes of freeway traffic. Interstate 10 is on one side, the 610 freeway is on the other side and Memorial Drive is on the other side of the park. That seems fascinating to me that many runners choose to run in a place that has often been documented as having the very worst air quality in Houston metropolitan area. If you have an option to run in different areas, you may be better off choosing an area that has fewer environmental stressors. Obviously you run in a park that has more trees and less traffic that would be better for you. But if you’re severely allergic to tree pollen and the pollen counts are high, then you may be better off running indoors that day. Athletes meditate and there’s a good deal of evidence that a healthy mental attitude can increase athletic performance. In my mind, anything that can increase athletic performance has the capacity to increase the speed of healing and decrease your risk of injury. No one chooses emotional stress. However, we all have to deal with it when it comes up. Maybe you have a boss that you don’t like. You may have some sort of marital discord, or your kids may be giving you trouble. But you still have to deal with it. Whether that means meditation, working with a therapist, or talking to a sports psychologist, you have to remember that if you can decrease the amount of emotional stress, you may be able to run further with a lower risk of injury. Nutrition is not what you eat. Nutrition refers to the nutrients you take in, absorb and incorporate into the cells. Whether you have Crohn’s disease or an unhealthy diet, you’re not going to get all the nutrients you need. If you’re pregnant or breast-feeding you can also expect that the nutrients you take in when you eat are going to be preferentially distributed to your baby instead of rebuilding your tissues after you run. I recently did an online search for medical journal articles on the term oxidative stress and wound healing. Basically I was preparing for a talk that I was going to give at a medical conference on running injuries and I wanted to include some discussion about oxidative stressors and there were almost 20,000 medical journal articles on the topic. This is likely a good topic for an entirely separate episode but in short, oxidative stress is what happens when tissue damage occurs. This can be combated with nutritional supplements and a host of different factors. Attempting to reduce the amount of oxidative stress in your system, whether through increasing your antioxidant fruit and vegetable intake, or through specific nutritional supplements designed to combat oxidative stress, you have to do something to try to reduce every form of stress that you can manage. You wouldn’t believe how many times I have seen runners who think they “didn’t change anything” but suddenly developed an over-training injury like Achilles tendinitis, a metatarsal stress fracture or plantar fasciitis. Many times they are just baffled. They have been doing the same routine week in and week out for years. No increase in mileage, no new coach and no big change in terrain. But then I start searching for stressors other than the biomechanical stressors that can contribute to injury risk and when I probe a little deeper, something interesting almost always happens. All of these life events can contribute enormous amounts of anxiety and stress. And while many runners just think of it as anxiety, you should really think of it as stress. Granted, many doctors don’t really seem to get around to asking these sorts of questions. They just hone in on the biomechanical stress…the number of miles you run, the surfaces you run on, or the running shoes you wear. What you have to realize is that all of the stress pushes your threshold for injury, lower. If you have a lower threshold for an over-training injury then it stands to reason that you have to run less to stay under that threshold for recovery. But it’s not just the stress from running. It’s all the stresses added together. It may help to think about your threshold for injury instead as your threshold for recovery. When you think of it as recovery or injury, it’s basically the same thing. They just move in opposite directions. If you’re trying to recover from an over-training injury, you want to stay active or continue to run while you heal the injury, you have to reduce all the other stressors so that you can increase the mechanical stress which is running. The key point here is that if you reduce the emotional stress, hormonal stress, nutritional stress, if you reduce all those different forms of stress enough then in theory, you can increase the biomechanics stress and stay under your threshold for healing or your threshold for recovery and you can keep running so you don’t lose all your fitness. You don’t lose your neuromuscular connections. 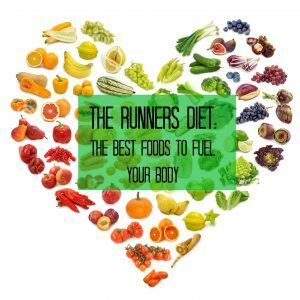 You don’t lose your running specific fitness or your running form. This way when the over-training injury fully heals, you can get back to running with less worry of a series of chronic recurring injures that sidelines so many athletes. 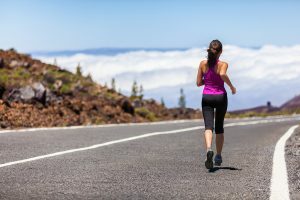 So, although your doctor may truly have your best interests at heart when she tells you to stop running, that advice may actually be counter to your long-term goal of continuing to run for a lifetime. Make sure that you explain your running goals to your doctor. Ask her to help you come up with strategies to mitigate the forces of running. Figure out ways to decrease the stresses from running so that you can still heal while you keep running. But if your doctor refuses to help you figure out how to heal and keep running, start looking for a doctor who treats runners and who might help you run and heal the running injury. You can either find a local running doctor in your area or you can even get a remote second opinion through web consultation or phone consult from a running expert who offers Telemedicine consultations for runners. Remember, the goal isn’t just to heal. The goal is to run.